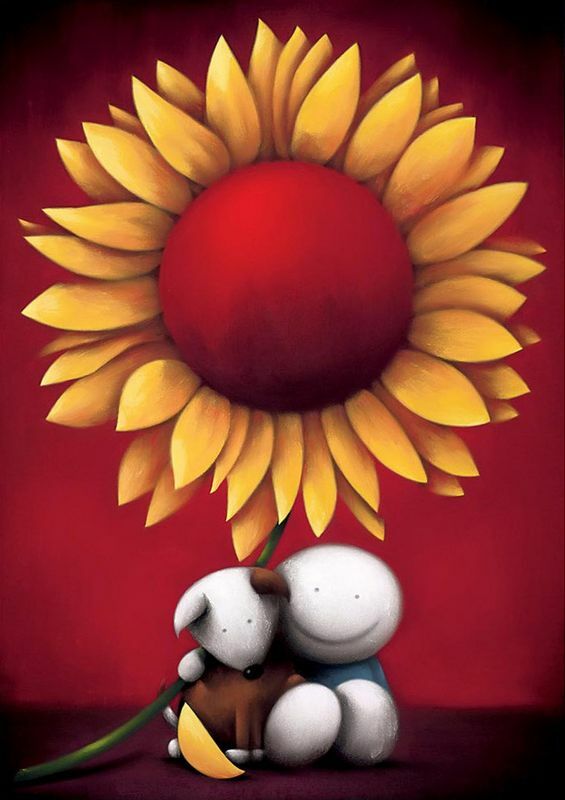 My Sunshine - mounted by Doug Hyde // £264.00. Hyde returns to some of his most popular elements here: the sunflower with the red background and Doug’s human character (dressed in blue) with his friend the brown and white dog! A simple limited edition painting full of good cheer and with a message of friendship and happiness. We often associate the humble sunflower with the sun, so the title ‘My Sunshine’ also draws your mind to this most elegant of flowers - always growing and moving towards the warm summer sky. A medium sized Doug Hyde print and a must have at this enticing price point, so far this has proved a great seller to his huge fan base!